Mongolia said it has no plans to change the size of its stake in the massive Oyu Tolgoi copper mine, although it is seeking to boost exploration as it works to bolster its finances following an IMF-led loan deal. 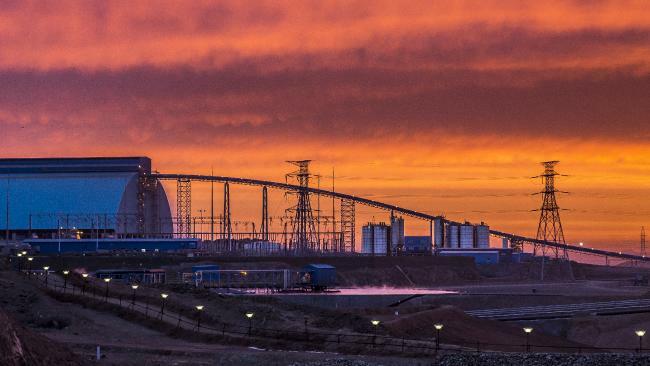 Oyu Tolgoi is jointly owned by the government of Mongolia (34 percent) and Turquoise Hill Resources (66 percent), which in turn is 51 percent-owned by mine operator Rio Tinto. Industry insiders say there is a logic in Mongolia selling down its relatively large state holding, while Rio’s stake is relatively small given that it is operator. Asked whether Mongolia might sell some of its stake, the mining minister said there were no plans for any change for now. “Our ministry has to find out all possible options that are good for Mongolia and within that framework we are researching all possibilities. But currently, there is no such plan, but it is something that we can watch,” Mongolia mining and industry minister Dashdorj Tsedev told Reuters on the sidelines of a conference in Toronto. Rio Tinto declined to comment. Geologists and mining executives see Mongolia as one of the world’s best copper prospects and some are hoping to find another Oyu Tolgoi.